I have started a new class from Shimelle. Prompts have started arriving in my inbox and I have started sorting through mountains of paper (well maybe it is not quite that bad). My giveaway box is just about overflowing at this stage but it feels good to know what I have I will use. Of course the focus of the class is not getting rid of paper but using older collections with new (the declutter has just been a side effect). 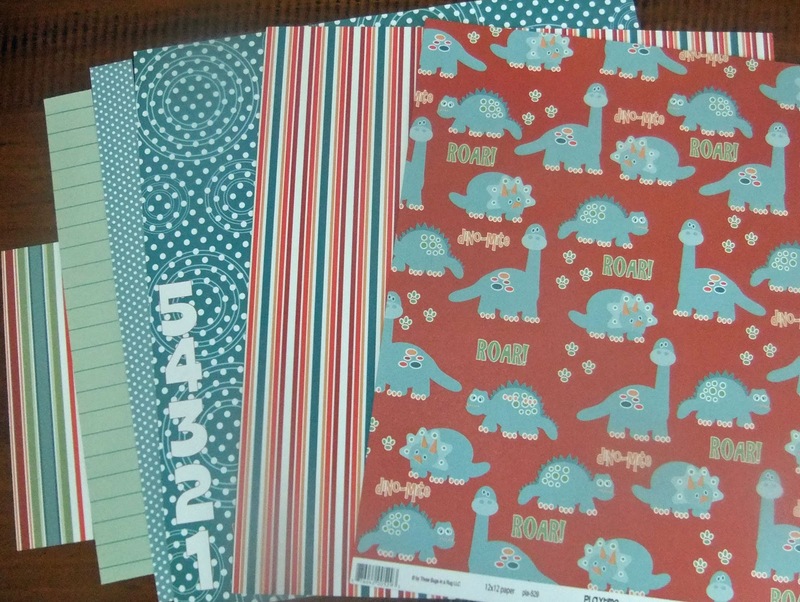 The first part of prompt 1 was to pick a paper collection (Shimelle used a summery collection). I have pulled out from archives 3 Bugs in a Rug Playtime. I purchased it originally because those little dinosaurs were so cute and it has now sat in my collection for way too long. So cute yes, useable maybe not so much. Now to the remixing... taking it slowly we created monochromatic layouts. 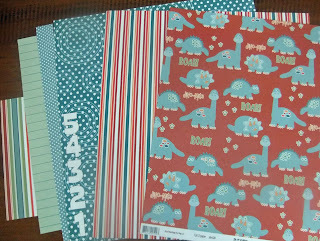 The paper from the original kit is the aqua polka dot. Here is a closer look at the embellishments. 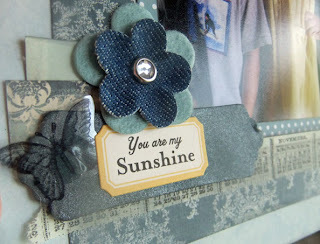 If you are in need of some scrapbooking inspiration I would highly recommend Shimelle's class. Hopefully I will find some time this afternoon to attempt some of the other prompts (and maybe even use that dinosaur paper). Great monochromatic page! 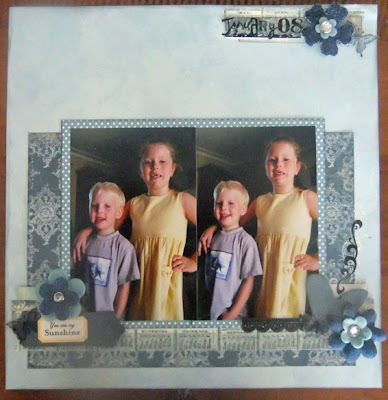 So much inspiration already in Scrapbook Remix - hope you find time for some of the other prompts soon! Lovely job on your layout! Love the muted blues. Lovely page. The photos look gorgeous against your monochromatic blue color scheme!